Home > Science	> More Testing? Maybe. The following is a Google translation of an article, The Shroud: the linen cloth that wrapped Jesus, between mystery and science, appearing in Meteoweb.eu. Tradition identifies it as the sheet used to wrap the body of Jesus’ in the tomb, but the history of the Shroud – that from 19 April to 24 June will be ‘on display in Turin Cathedral – and’ marked by many mysteries, as well as continuous disputes on Authenticity ‘of the relic. The Shroud and ‘a linen sheet, rectangular in shape and dimensions of about 442 × 113 cm, on which and’ visible double image ‘negative’ of the body of a man subjected to a series of tortures and finally crucified. At the top and bottom of the image and ‘marked by the traces of the fire that development’ in 1532 in the chapel of the castle of Chambery, where it was kept the sheet folded in a box of silver. The exposition in 2015 and ‘the second after the restoration of 2002, in which you removed the patches that had been affixed by the Poor Clares of Chambery. All historians believe documented the history of the relic from the middle ‘of the fourteenth century, the date of his appearance. On his previous history and its antiquities ‘there’ agreement: radiometric dating with the technique of Carbon 14, performed in 1988 and considered inadequate by the same creator, American chemist Willard Libby, has dated the construction of the sheet between 1260 and 1390, but supporters of authenticity ‘of the relic argue that the samples used could also come from parts mended after the fire of 1532. Some scholars believe that the Shroud is the authentic burial cloth of Jesus’. According to these the Shroud of Turin dates back to the first-century Palestine. Then enjoys much credit to the hypothesis that it is to be identified with the ‘mandylion’ or ‘Image of Edessa’, an image of Jesus’ very venerated by Eastern Christians, who died in 1204 (this would explain the absence of documents which refer to the Shroud in that period). Countless scientific tests and forensic where the find and ‘was submitted. Shroud studies of 1981, made from Italian alien autopsy and by Americans Heller and Adler, found on samples of wire traces of human blood group AB; For its part the Swiss biologist Frei Sulzer identified on the cloth pollens of over 50 plants, present not only in Europe but also in the Palestinian areas and the Anatolian. Israeli researchers have also found traces of particular plants belonging to the area of ​​Jerusalem. The Catholic Church does not comment officially on the issue of authenticity ‘, leaving science to examine the evidence for and against, but authorizes the cult as a relic or icon of the Passion of Jesus’. 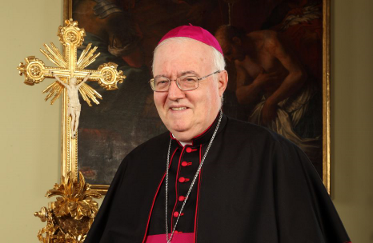 "I am convinced that on the Shroud should still encourage the pursuit of science," he says about the archbishop of Turin, Monsignor Cesare Nosiglia. The papal custodian of the sacred cloth opens the possibility ‘of new studies: "If Papa Francesco will want to’ take this path, we will do it – he says – as long as the research is conducted with honest ‘intellectual, without preconceptions and ideological assumptions a priori." Several popes, from Pius XI to John Paul II, expressed their personal conviction in favor of authenticity ‘. And ‘there’ waiting for what they will say ‘Francis Pope during his visit to Turin, scheduled on 21 and 22 June. I am not sure what Willard Libby had to do with the 1988 testing as he died in 1980- perhaps an intervention disputing the findings from on high. Anyway good news that the archbishop seems open to new testing- there are lots of respected conservation labs able to do it. Making the translation a little more correct makes the whole article a little less incorrect, although it is surely acknowledged by everyone that any repair to the C14 corner was not as a result of the 1532 fire. Science requires openness. Start by releasing the HD version of HAL9000, not just the iPad toy. Make the carbon scrapings and other vacuumed dust from the 2002 conservation available for testing. Do the same with the photographs taken in 2002. Really? What’s the evidence for that claim? This mades Hugh’s point that the C14 dates agree with the historians. What are the odds of that? DaveB makes the point that samples should have been taken from other parts of the Shroud. That might be a wise idea. I’m still on the fence on the Shroud. – an examination of all the material collected during the restoration. It would help to have what remains of the pollen grains in Max Frei Sulzer’s collection, now in the US. Since there has been a great deal of work done on ancient linens in recent years, including many with images on them, one would hope that there would be comparative studies with these as well. STURP famously said that it had not examined any painted linens. Now is the time to try! Again it is about time someone did some work on ancient and medieval looms and related them to the patterns and dimensions of the Shroud. And, de Wesselow having failed to explore this aspect of the Shroud at all, the iconography of the pattern of bloodstains and scourge marks needs exploring by art historians, relating those on the Shroud to other examples. Much of this can actually be done without examining the Shroud, just as the dating of the horses of St. Mark’s in Venice could be done by establishing (from other examples of gilded copper) a date line of copper gilding to which the horses’ own gilding could be neatly fitted in and so confirm that they were second-third century AD and not several centuries earlier. Above all there needs to be the will to do what the archbishop says and approach the Shroud without any preconceptions. >Spectroscopic analysis are of course possible. >There is some minor problem with glass, which has its systematic effect on transparency indifferent wavelenght, which should be taken into account. is responsible for byssus fluorescence. >The blood should be no great problem, but if you want to know my opinion, I doubt that those blood stains are real blood. Rather images of bloodstains. examinations on the Veil of Manoppello? in transparency of a marine byssus is not difficult. I do not think that the transparence spectroscopy (despite the problems highlighted by OK = … systematic effect on transparency in different wavelength, which should be taken into account, … the glass is not transparent in the UV band that Is responsible for byssus fluorescence, … etc.) is so difficult to obtain. I believe it is necessary to have work plans credible and possibly already adequately funded… or fundable. Instead I am sure that we have to start with what we already can have at disposal, without other manipulation on the Ancient Linen. You can get thousands of euros in support of innovation if you have credible plans. Who should give money to the adventurers? (perhaps) want to do new (spectacular) manipulations on the Cloth? Firstly we have to work with the material already taken. The issue appears to be quite serious. Research on ancient linens. Piero says that he does not know what I am getting at. In recent years there has been an outburst of research on what had been a neglected area of art history, medieval painted linens. In particular, there has been research on the pigments used, the way that these have been built up to make an image and the problems of decay of pigments. So anyone researching the surface of the Shroud should be up-to-date with this research. Thanks, Dan. A good place to start is Caroline Villers’ (ed.) The Fabric of Images : European Paintings on Textile Supports in the Fourteenth and Fifteenth Centuries (Archetype Publications, 2000). The essays here have a lots of information on all these issues, many of them from experts who have been working on repairing decayed painted linens. There is a new Archetype volume on painted linens out last year but it is too expensive for me at the moment and i am trying to track down a library copy. If you google ‘medieval painted linens’ you get a variety of papers showing just how prevalent painted linens were in the medieval period. The journal Medieval Textiles also has articles.I liked the discussion of painted wall hangings in York by Dr. Charles Kightly in the June 2001 edition. He shows how vulnerable the painted surfaces were so that despite the many wall hangings mentioned in medieval inventories we do not have a single English survival today. However, my point is that it is clear from these articles that there are a number of people involved in the restoration of painted textiles and that one would hope that they would be involved in an ideology/preconception free analysis of the Shroud. the probable epoch of the Shroud of Turin! In any case I should be curious to observe the reactions regarding my past proposal (as in a good remake …submitted to the large public). What is your idea ? If he’s the archbishop, he is not a monsignor. Andy, he signs his name: + Mons. Nosiglia, Metropolitan Archbishop of Turin. I’m told that once the honorific title is granted, it may be used for life. Pope Francis is simplifying things, however. According to Wikipedia: “Soon after his election in March 2013, Pope Francis suspended the granting of the honorific title of Monsignor except to members of the Holy See’s diplomatic service. In December of the same year he communicated his definitive decision to accept no further requests from bishops for appointments to any class but that of Chaplain of His Holiness, the lowest of the three classes, and that candidates presented must be at least 65 years old. He himself, during his 15 years as archbishop of Buenos Aires, never asked that any of his priests receive the title, and he was understood to associate it with clerical “careerism”. You also might want to check out the Diocese of Turin website page at http://www.diocesitorino.it/diocesi_di_torino/arcivescovo/00024135_Arcivescovo.html. It is clearly his preference as most news articles also show him as Mons. Cesare Nosiglia.